Make sure to make a stop at Honey Church Lane. 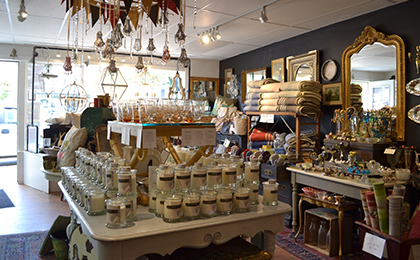 Specializing in chateau chic, vintage finds, antiques, upcycled and refurbished furniture and more, this charming shop is packed with inspired, hand-selected items. Crystal draped chandeliers, vintage glassware and sparkling jewellery are a few of their specialties. As retailers of a full line of eco-friendly paints, they help bring a new look to any space. Get inspired here.